In the United States, work is the key to economic success, as well as the major source of health care coverage and retirement security. While Europeans look to the State for these benefits, Americans for the most part do not. This system of employment-based benefits means that those disadvantaged in the labor market are also disadvantaged in terms of health care coverage and retirement security. 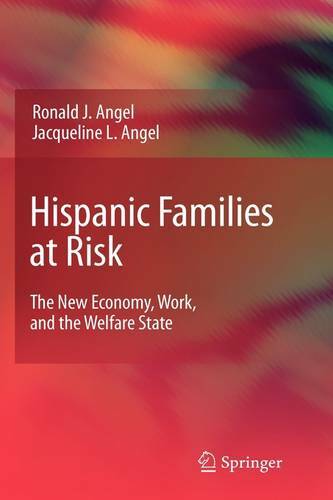 The authors of this work examine the overrepresentation of Mexican Americans in low wage or service sector jobs, which rarely come with health insurance or retirement coverage. At all ages, Mexican Americans have lower rates of health insurance and retirement coverage than do other minority groups, such as African Americans or other Hispanic groups. Although employment in jobs that do not provide benefits is one major source of this disparity, other factors-including immigration history, citizenship status, and language proficiency-further block opportunities for upward mobility within the Mexican American population. In their analysis, the authors work to deemphasize the popular, cultural explanation for the economic disparities and focus on more practical, policy-based solutions. In each chapter, the authors identify and critique the factors that affect the economic security and health care access of individuals throughout the life course, suggesting policies for reform. This work will be of interest to anyone working in the fields of cultural studies, public health and the sociology of work. With the focus on real world causes for the problems as well as potential solutions, policy-makers will also find this informative book an essential resource.